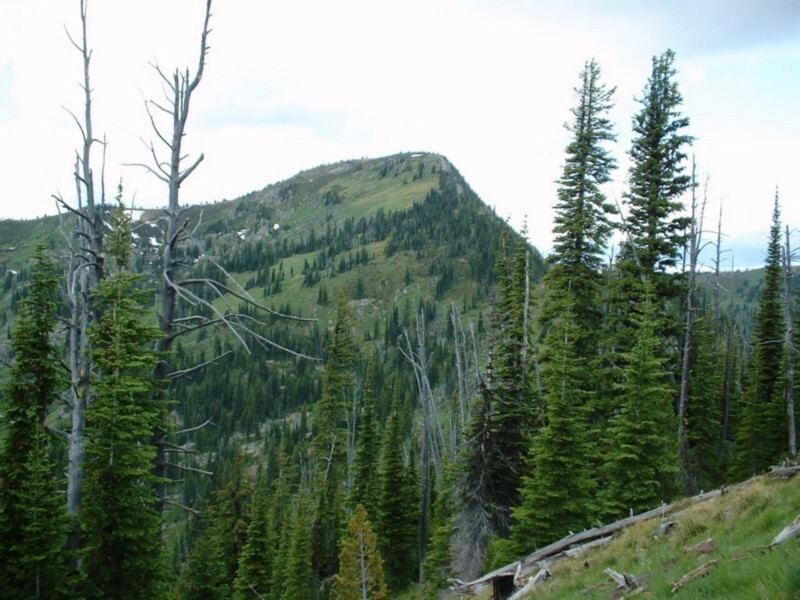 The Bitterroot Mountains are covered in the book from page 82 through page 94. Please check those pages for additional information. 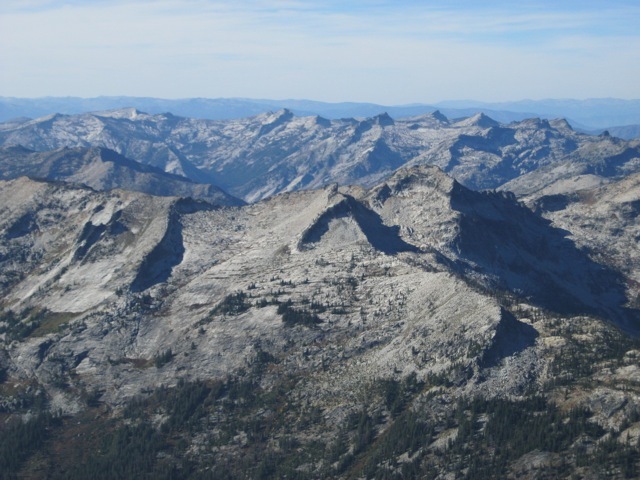 The Bitterroot Mountains are a group of mountains primarily created by map makers and not by fault blocking or granitic intrusions. 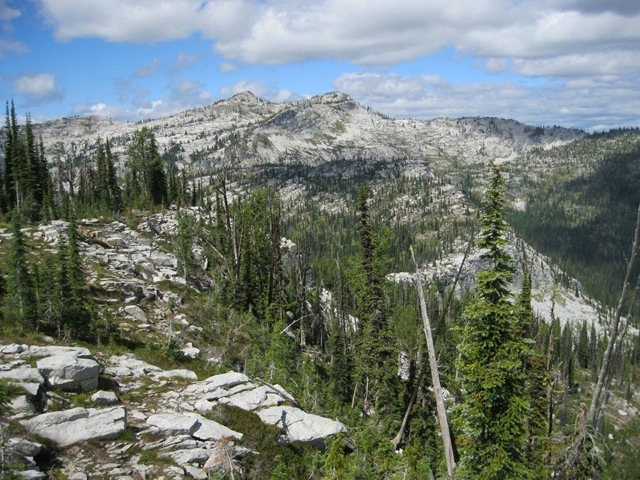 The map makers’ creation combines parts of the Coeur d’Alene and Clearwater Mountains to form a long narrow grouping stretching south from Lake Pend Oreille to Lost Trail Pass north of Salmon, Idaho. Much of the range forms the Idaho-Montana border. 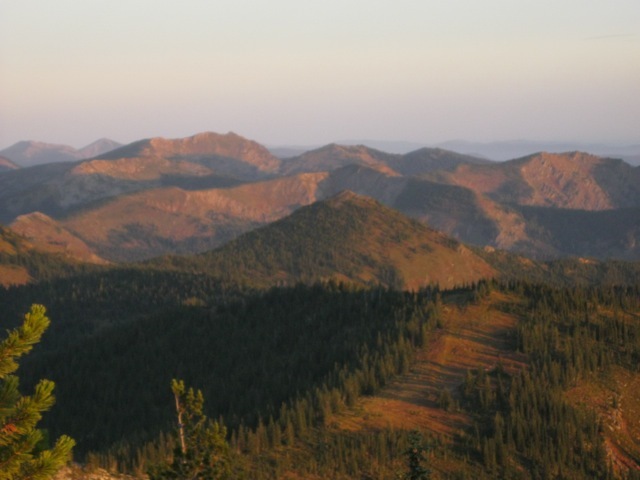 Nevin M. Fenneman, in his book the Physiography of The Western United Stares, described the southern Bitterroot Mountains as follows: “These mountains, while not remarkable for great height, are among the most characteristically alpine of the United States. Everywhere the effects of glaciation are prominent.” As a range tied together only by a geographical location (as the border) rather than a consistent geological makeup, the Bitterroots offer a varied and exciting mountain environment for climbers. 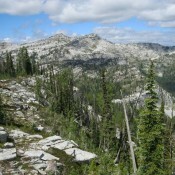 The Bitterroot Mountains are covered in pages 82 to 94 in the book. 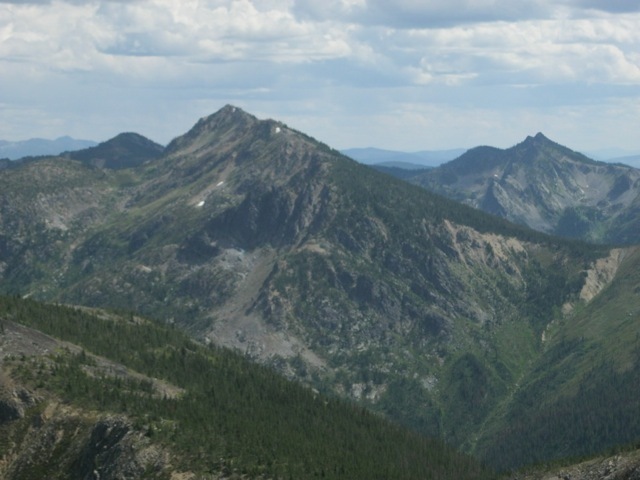 Pages 82 to 84 cover the peaks from the Clark Fork River to Lookout Pass. 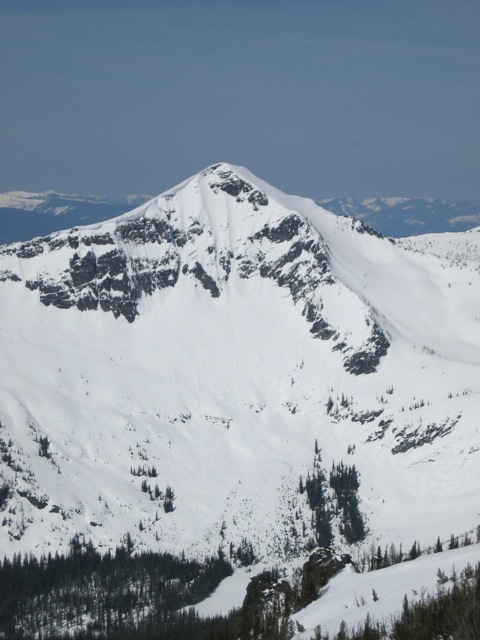 Pages 84 to 86 cover the peaks between Lookout Pass and Lolo Pass. Pages 86 to 89 cover the peaks between Lolo Pass and Nex Perce Pass. 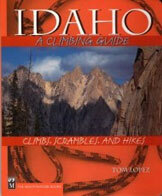 Page 89 covers the area from Nez Perce Pass to Lost Trail Pass. Illinois Peak on the Idaho/Montana border. Dan Robbins Photo.